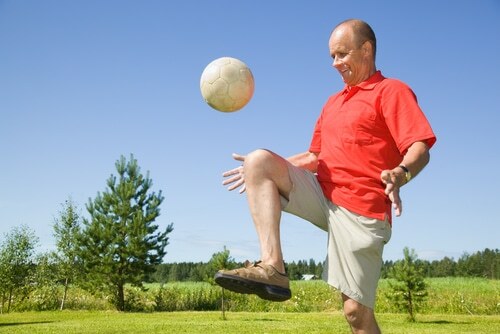 Suffering from knee aches and pains can limit how you perform in your day to day activities. Finding adequate knee pain treatment can be difficult without a support system behind you. At Agility Spine and Sports Physical therapy you will receive the highest quality of knee pain treatment available in the greater Tucson area. Having pain in your knees can limit your ability to walk, crouch, kneel or do simple quick maneuvers. We are dedicated to finding solutions that help to ease your pain with long term results. Agility Spine & Sports Physical Therapy helps people of all ages relieve pain and return to the activities they love. The causes of knee pain can come from a variety of different factors like cartilage problems, arthritis, injuries or changes in the way you walk. A common problem occurs when the surrounding muscles and soft tissues become weak or tight, causing increased pressure to your knee, lessening needed support and increasing pain. We emphasize strengthening techniques that focus on those weakened tissues and muscles. Coupled with experience, training and professionalism our licensed physical therapists at Agility Spine & Sports Physical Therapy are dedicated in providing valuable solutions and top of the line patient care. We work to create custom strategies that properly evaluates the area in pain. Our programs directly focus on locating changes in your normal knee muscles and tissues, leg movement, and resistance to pressure. This allows us to design a hands-on treatment program to be tailored specifically for you. Recovery will be quick and it will allow you the opportunity to return back to your healthy and active lifestyle. Contact us today to set your appointment and allow us to guide you on your journey towards a pain free life.